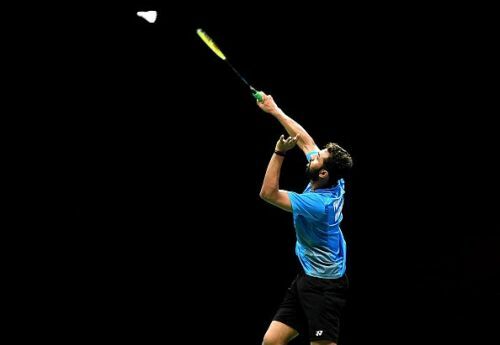 HS Prannoy moved up a couple of spots to 11th as the new world rankings got released by the Badminton World Federation (BWF) on Thursday, September 20. The rise comes as a result of his first round win over the Asian Games champion Jonatan Christie in the first round of the Japan Open, a Super 750 tournament held in Tokyo last week. Kidambi Srikanth sees no changes in his ranking this week and remains at eighth. Sameer Verma has slipped five places to 22nd while Sai Praneeth is static at 24th. Parupalli Kashyap, Sourabh Verma, Ajay Jayaram, and Subhankar Dey are placed one after the other at 57th, 58th, 59th, and 60th respectively. 2014 Commonwealth Games bronze medallist RMV Gurusaidutt has moved up 10 places to 72nd after winning a round at the South Australian International last week. PV Sindhu and Saina Nehwal are firm at their third and 10th spots respectively. But the biggest mover for India in women’s singles is former Indian national champion Rituparna Das. The Haldia-born girl, who trains at the Pullela Gopichand Academy in Hyderabad, has jumped 23 rungs to 80th. Das made it to the final of the Belgian International as she makes her comeback from a multitude of injuries. Vaishnavi Reddy Jakka is at 55th, Sri Krishna Priya Kudaravalli is at 77th, Mugdha Agrey is at 83rd, and Ruthvika Shivani Gadde is at 86th. In men’s doubles, Satwiksairaj Rankireddy and Chirag Shetty have dropped a couple of spots to 20th while national champions Manu Attri and Sumeeth Reddy have surged a spot to 27th. Commonwealth Games bronze medallists Ashwini Ponnappa and Sikki Reddy are 27th in women’s doubles. The top two mixed doubles pairs of the country have both slipped from their earlier spots in this week’s rankings. Pranaav Jerry Chopra and Sikki Reddy are now 23rd while Ponnappa and Rankireddy are 28th.